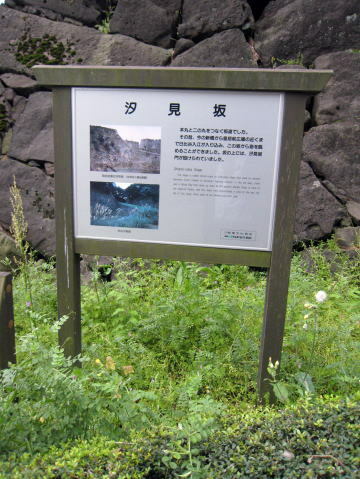 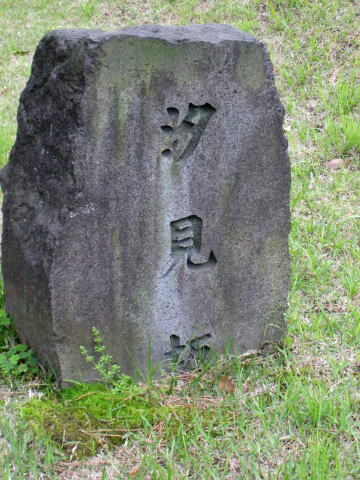 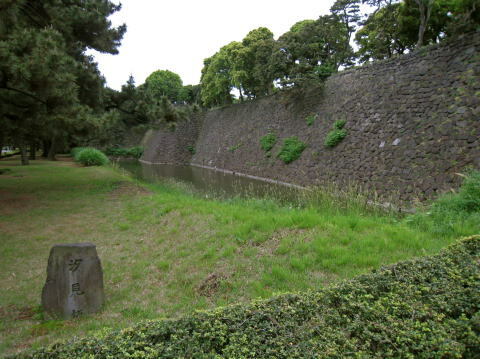 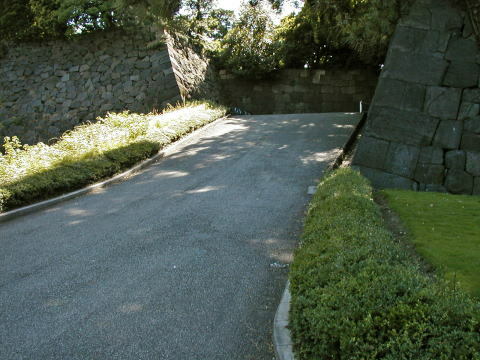 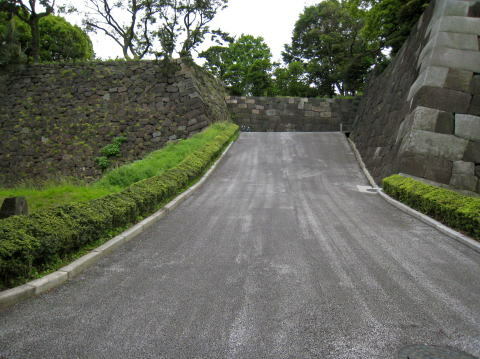 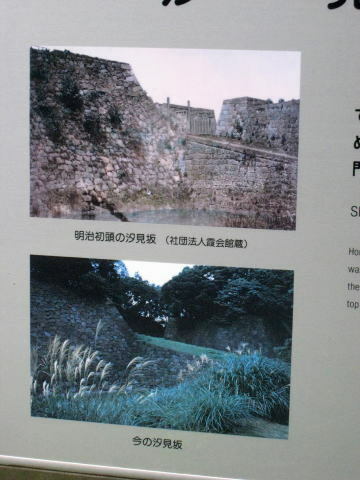 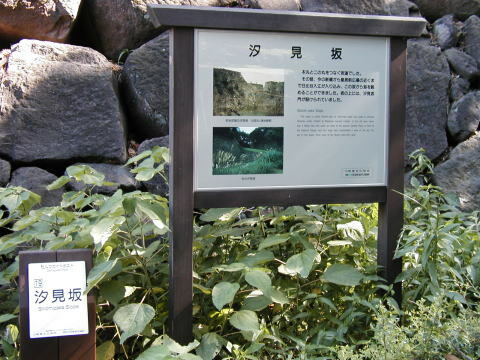 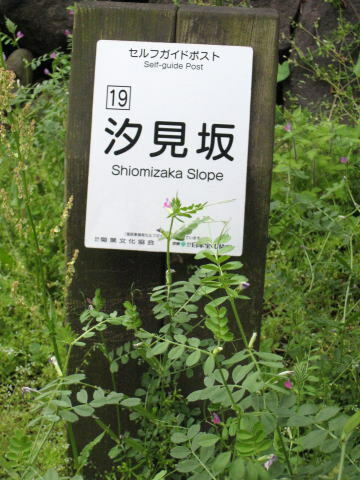 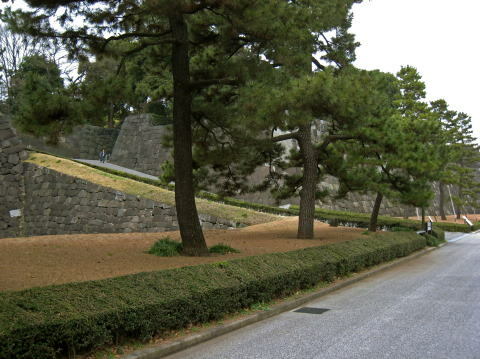 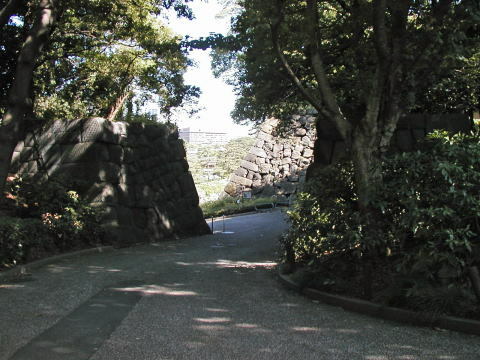 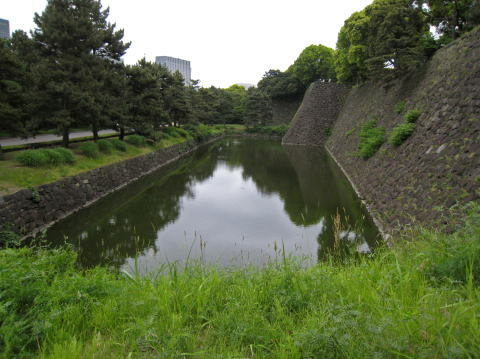 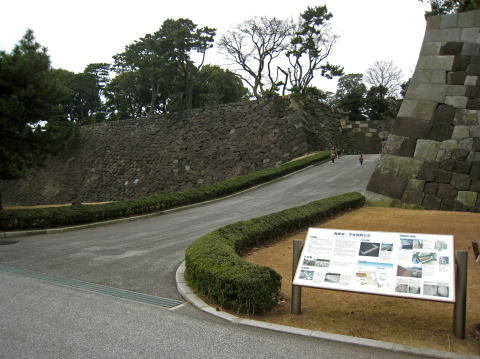 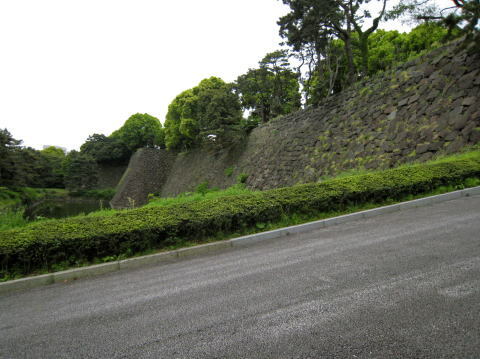 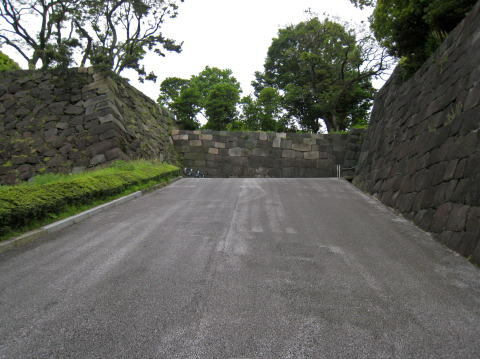 The slope is called Shiomi-zaka or Tide-view slope that used to connect Honmaru (inner citadel) to Ninomaru (second citadel). 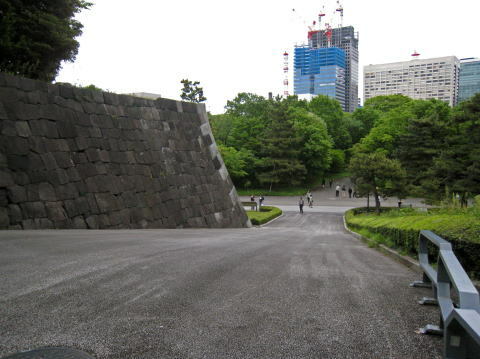 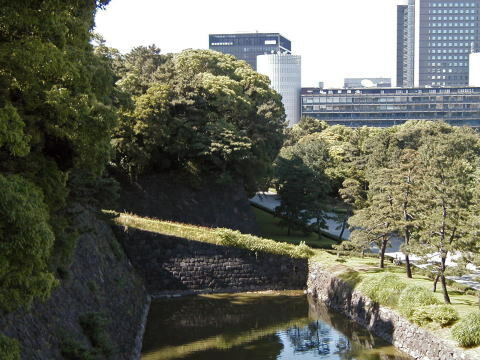 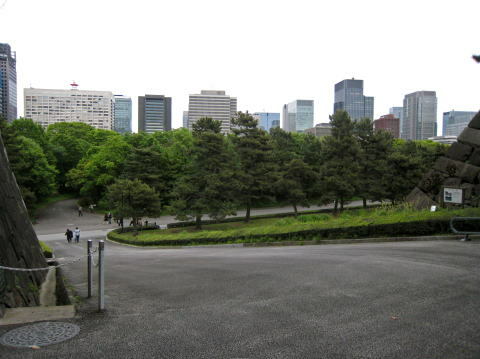 In the old days, there was a Hibiya Bay that came up close to the present Garden Plaza in front of the Imperial Palace, and this slope then commended a view of the sea. 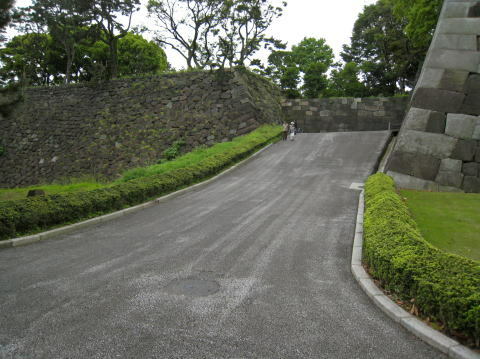 On top of this slope, there used to be Shiomi-zaka-mon gate.